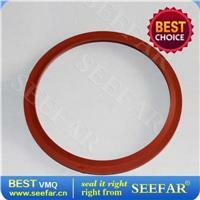 Custom V-Silicone Seal Ring Silicon rubber ring are excellent for extreme temperature in static applications. Outstanding flex and fatigue life, very good for ozone and UV radiation. The term silicone covers a large group of materials in which vinyl-methyl silicone (VMQ) is often the central ingredient. 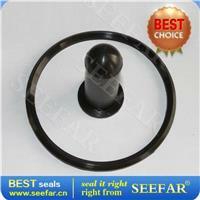 Silicon rubber ring are excellent for extreme temperature in static applications. Outstanding flex and fatigue life, very good for ozone and UV radiation, insulating properties, and physiologically neutral. 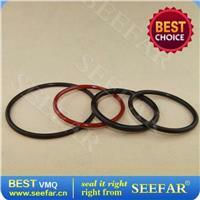 Silicone O rings are used in many applications and industries throughout the world.